I based the construction of the logotype on the v and k letters, and the sound waves shape. After exploring several ways, I used the waves as generator of the letter, and designed a unique logotype merging the elements previously described. When I created the claim “lets talk!”, I had in mind the idea of sound interaction and also, the possibility to translate it into as many languages as possible. 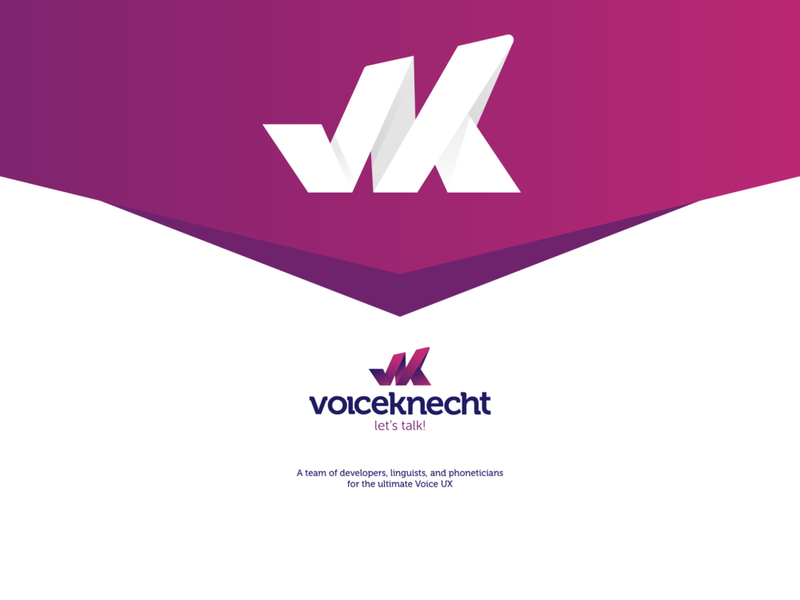 Voiceknecht is a multilingual solution. 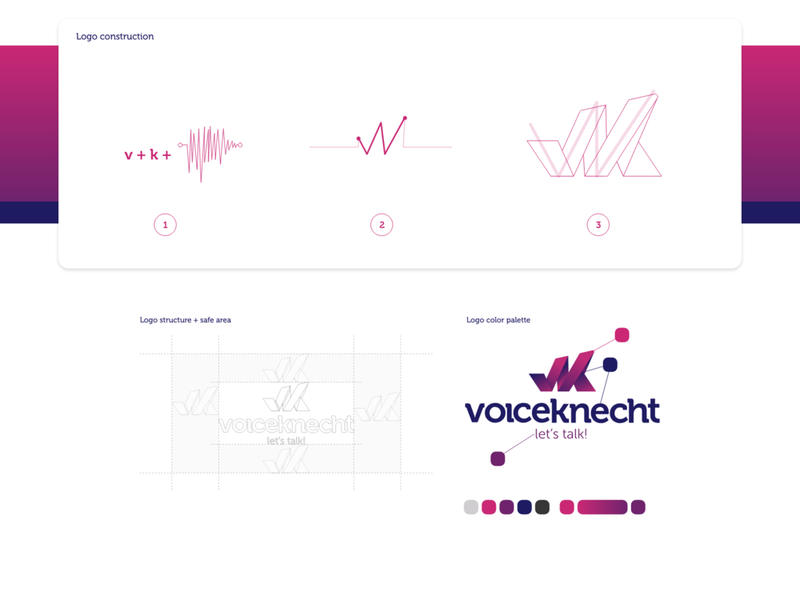 VoiceKnecht logotype also.